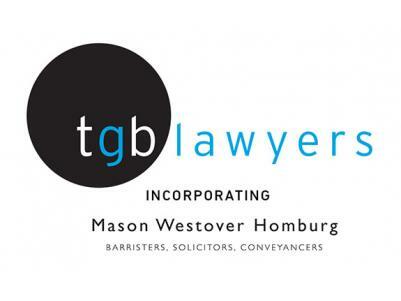 With effect from July 1st 2017 Mason Westover Homburg are teaming up with Tindall Gask Bentley Lawyers. It's a complicated name, but they're the same solicitors you’ve always known and trusted. That means, from July you’ll still receive the same quality service as always, including; family law, injury compensation, workplace law, wills & estates, business & property law and more. With a culture of service, and a determination to get it right for their clients, TGB Lawyers has earned a place of respect in South Australia’s legal community. For more than 40 years, Tindall Gask Bentley has been finding practical cost-effective solutions to the wide-ranging legal problems. Both a team-oriented approach and an ethos of empathy for the people who rely on them for advice has been nurtured since the firm's beginnings. With a diverse span of expertise, the firm has gained renown as litigation and advisory specialists who also understand that your best solution can come from avoiding the need to go to court. For straight forward advice on legal matters, visit the team at Tindall Gask Bentley incorporating Mason Westover Homburg. Complicated name, legal matters made simple.